This month’s Summer Fun Challenge is being generously sponsored by Shonda from The Knowlton Nest. Since this month’s Summer Fun Challenge is “Go Take A Hike” Shonda thought some of her products from her USANA store would be a nice fit. Shonda sent me the USANA Nutrimeal Shake in chocolate and she even included a BlenderBottle. If you are looking for a great great nutritional shake, look no further. First, I have to tell you this is the best tasting shake I have EVER had! It seriously tasted like chocolate cake batter. Way too naughty to actually be healthy, right? Wrong! 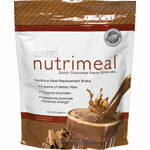 It has 8 grams of dietary fiber, 15 grams of protein, is low in saturated fat and is even low glycemic. This shake also come in Vanilla and Strawberry. I really like the BlenderBottle she sent, too. It has this nifty little whisk ball inside it called a BlenderBall. It helps to mix up the shake so it is nice and smooth. I have had a hard time drinking most shakes because of the texture, but I had no problem after mixing up the shake in this bottle. Shonda also sent us some Usanimals vitamins for my children to try. My kids have never been big vitamin eaters, so they were a bit hesitant to try these, but once they saw the animal shapes on them, they were sold! Each time I give them one, they ask for more, so I have to hide the bottle! These vitamins are rich in antioxidants, nutrients, supports healthy immune function and they are easy to chew. It is nice to know that my children can get the nutrients from these vitamins that they miss out on when they are being picky vegetable eaters. 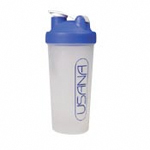 one USANA Nutrimeal Shake of your choice with a BlenderBottle and a bottle of Usanimals Vitamins. Over a $50 value! (Mandatory Entry) Visit USANA and leave a comment below telling me another product you would like to try. (2 Bonus Entries) Facebook, Twitter, or Blog about this giveaway. Leave a link in your comment. (3 Bonus Entries) Participate in the Summer Fun Challenge for July. Leave a comment and tell me if you left a link on the Summer Fun Challenge for July or you emailed me pictures. You must complete the mandatory entry first before any bonus entries will be counted. Giveaway will close on July 31 at 11:59 pm. Winner will be notified by email and will have 48 hours to respond or a new winner will be chosen. Open to all USA residents. What a super review, Michelle! I am going to post this on Facebook! Awesome! I would like to try the Sensé Prelude 5 Kit for skin care! I just posted this link on Facebook! 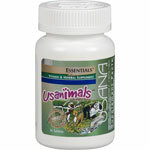 Great giveaway, we actually have used uanimals for both of our kids for years, they get them everyday! I have always wanted to try the health pak, so that would be my top choice!! I'd love to try the Peach Mango Fibergy. I visited the USANA site and I'd love to try the Rice Bran Exfoliator Scrub! I would love to try their Energizing Shower Gel. I would love to try the Reset kit. Please enter me. Thanks! I like the Gentle Daily Cleanser! Thank you for the giveaway! I would like to try the Sense Basic 3 step program!